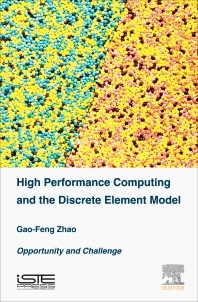 This book addresses the high performance computing of the Discrete Element Model (DEM). It is a comprehensive presentation of parallel implementation of the DEM on three popular parallel computing platforms; the multi-core PC, the GPU computer, and the cluster supercomputer. Featuring accompanying MatLab source this book helps you implement the DEM model for use with high performing technology, for particular implementation of the dynamic failure of solids, granular flow and stress wave propagation through solids.